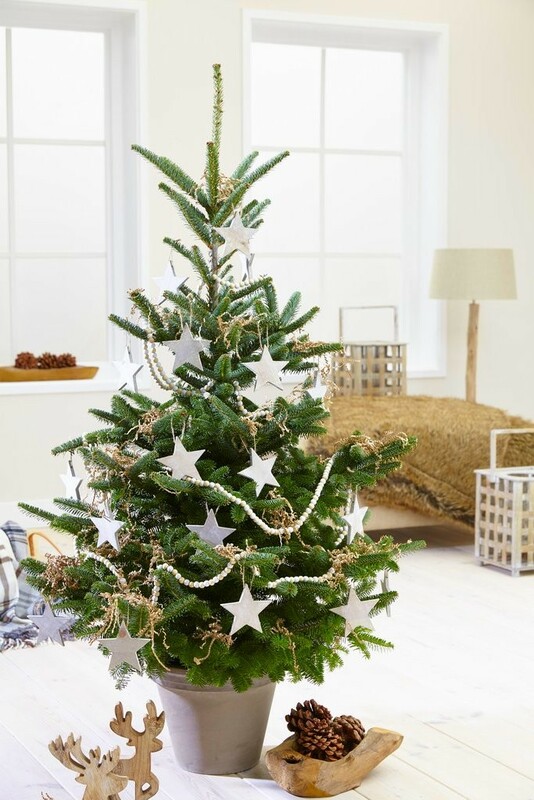 Here is something quite different that you can use as a Christmas tree in exactly the same way as a Non-Drop Nordman Fir, with the added bonus of having a gorgeous garden tree to plant out after the festivities. 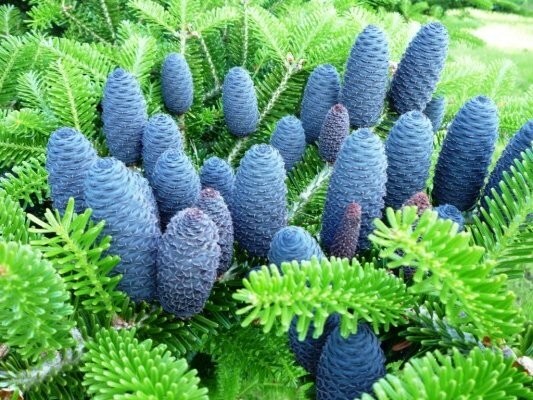 It's a very rewarding, slow growing conifer with glossy, green needles, silver-coloured on the underside, that produce attractive violet-blue cones. Even young trees can be attractively adorned with the pretty, violet-blue cones, although our current stock is not in cone right now. Extremely elegant, pyramidal growing habit in the garden makes it a highly decorative and desirable tree. Potted trees like this are great to grow on and keep year after year, and retain that wonderful real forest fragrance. Perfect if you do not have room for a full sized tree, or want something modest to position on a balcony or near the front door. Supplied as a top quality, potted tree, total height around 1.4-1.6 metres.